I had a small baking disaster the other week. It was a total faux pas. I always check my cakes are ready by inserting a metal skewer into the cake and checking it’s clean. I did this and everything seemed ok. 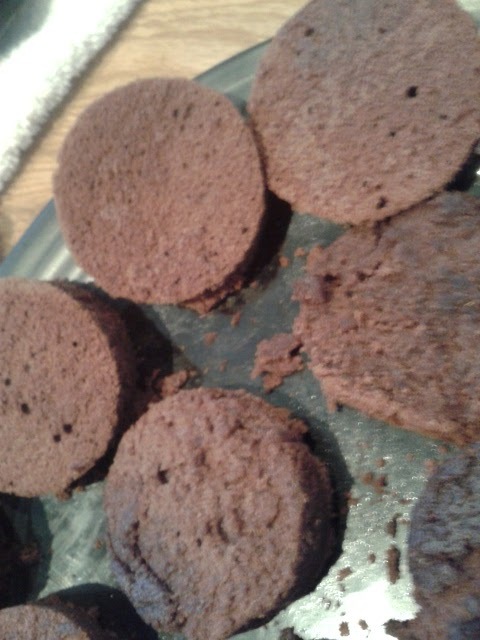 I turned the cakes out and left them to cool. Everything appeared ok. Then I moved the cooling rack and there was a gooey mess on the worktop. Something had gone drastically wrong. One cake was now a donut. It had a gaping hole in the middle. I panicked. I’d promised my colleague a birthday cake, now I had half a cake. I tried cutting the remaining sponge in half, but it was too thin to make a whole cake look decent. Then I spotted scone cutters from a few days previous lying on the worktop. GENIUS… If I couldn't make one cake, I’d make many. The moral of this story… sometimes baking goes wrong. Sometimes we are tired and make a stupid mistake, but it can occasionally be rectified by some quick thinking. 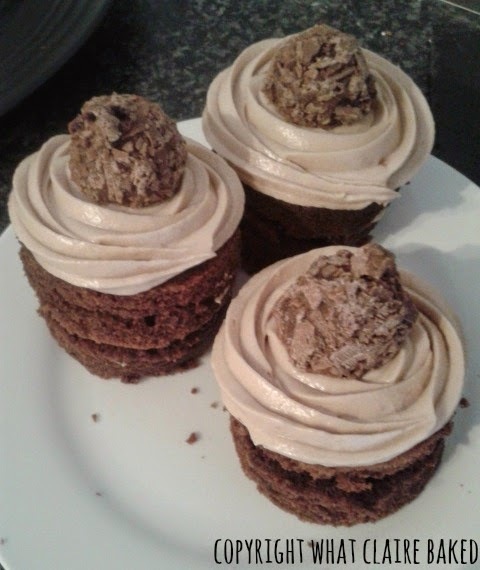 Anyway, I turned my baking disaster into a series of mini birthday cakes which went down a treat! It’s amazing what some cake cutters and buttercream can do! The number of cakes you end up with will vary, depending on the size of cutter you use. Prepare your cake tins by greasing and lining with baking paper. Preheat the oven to 190c/170c fan/Gas 5. Cream the butter and sugar together until light and creamy. Weigh out the flour and cocoa powder and sift into a separate bowl. Add one egg into the butter and sugar, along with a spoonful of flour to prevent curdling. Mix until combined. Repeat the process with the second and third eggs. Mix should be thick and smooth – if it appears too thick, add a splash of milk and mix to loosen. Split the batter evenly over two tins and bake in the centre of the oven for around 25 minutes or until a skewer inserted into the middle comes out clean. Cool in tins for 10 minutes then turn out onto a wire rack to cool completely. Whilst cakes are cooling, make your buttercream by adding the butter and 1/3 icing sugar to a bowl, mix with an electric mixer. Melt the chocolate in a microwave proof cup for around 1 minute and set aside to cool. 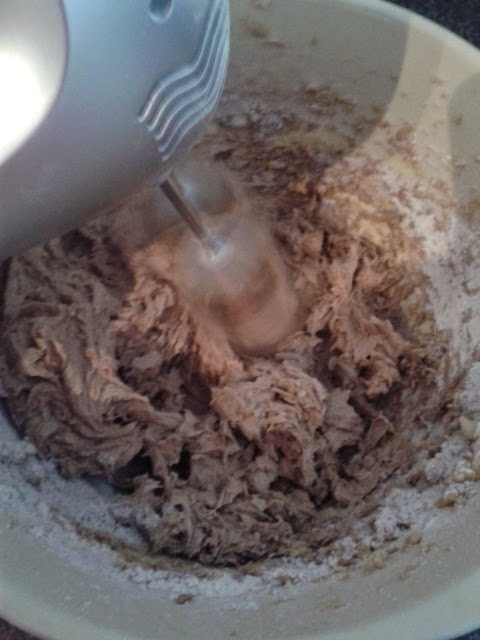 Keep adding the icing sugar until a smooth buttercream is created. Then mix in your chocolate (it should be cool but not solidified). Once chocolate is combined, quickly mix in the cream cheese. It’s essential you don’t over mix as the cream cheese can go runny very quickly. 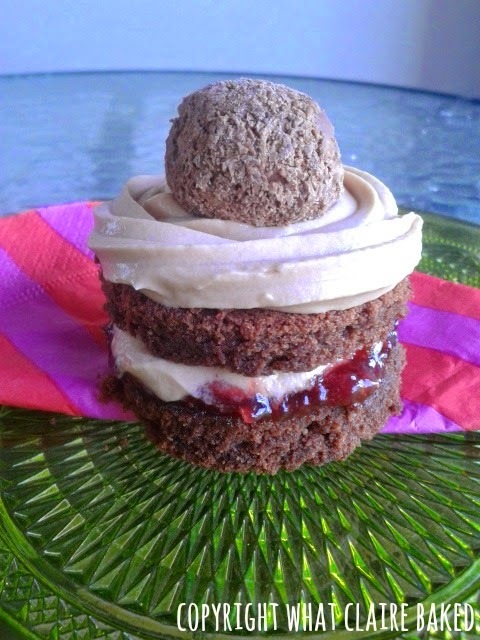 Once cakes are completely cool, cut each sponge in half through the middle, so you end up with four thin discs. Using a flat edge round cutter in a size of your choice, cut out as many discs as you can from each sponge. 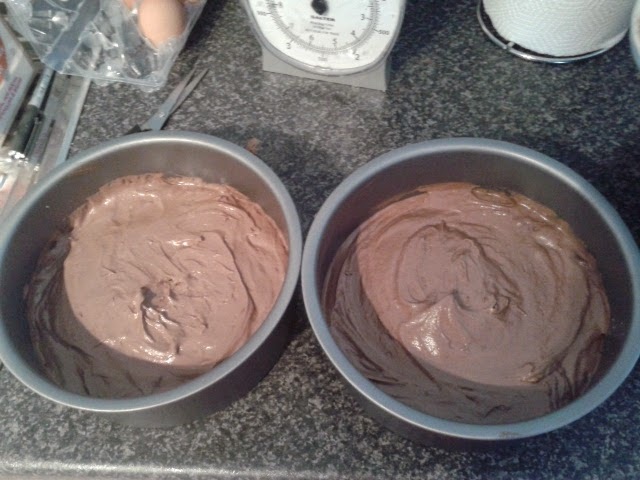 Ensure you cut out an even amount of discs as you need two for each cake. To assemble cakes, use a pallet knife to spread a little buttercream onto the top of one disk, then add a small layer of jam. Sandwich two discs together. Pipe a spiral of buttercream on top of each cake, then finish with a decoration of your choice. No worries Emily. Thanks for sharing my recipe!